Valentine's Day is one of my favorite holidays. I love the hearts and the roses, the chocolates, and of course all the pretty home decor. When I first moved into my home, I changed around a few things, and in the mix of that. I lost my true dining room. It was definitely bittersweet. However, a couple of years ago. I decided to revamp my living room and add a living room/dining room combo. I knew this would take a lot of creativity. My home is under 1k sq and trust me. It reminds me daily. That I have to stay organized and get rid of clutter. What I didn't want, was for our living space to look a mess. Cluttered, too many bulky furniture pieces etc. I did a lot of research and found the perfect couch at Wayfair and table at Ikea. I still remember the day the couch was delivered. I'm so used to purchasing furniture and having it delivered and installed. That I was like "oh my" and got straight to work with getting the couch inside our home when I found it outside. I wanted to wait for the couch before I purchased our table. I had the measurement. However, I wanted to make sure aesthetically it looked right for our space. I drove to several stores and finally stopped at Ikea. I found a couple of options. However, I wanted to make sure we had the right height as well. Especially, with young adult children. I purchased our table and the Mister put it together for me. Having this table has brought me so much joy. If you follow me on social media. I create various themes throughout the year. I try to change the tablescape monthly. I'm happy that I finally have the chance to provide you a couple of tips. It really doesn't take much to do a tablescape for Valentine's day. Just a little creativity and a budget. 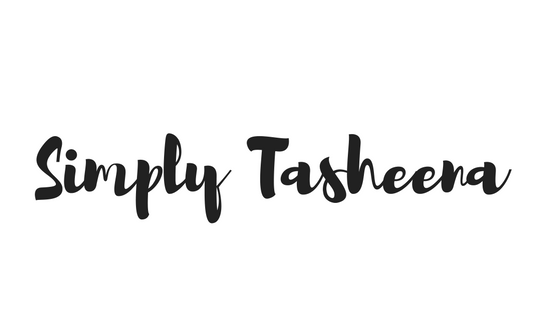 Today I'm sharing some simple tips to assist you with putting together the perfect tablescape. You will be surprised at the items that you already have in your home that would be perfect for your Valentine's Day tablescape. If you love the colors red or pink. Your home is probably already a gold mine. I first like to check through my Christmas decor to see if I have any items that could be used for my tablescape. Do a quick Google search for Valiente's Day and see what look you're going for. Shabby Chic or even glam. What style speaks to you. Of course, Pinterest is an amazing resource as well. The Dollar Tree has been a lifesaver when it comes to me creating tablescapes. You don't have to get everything from here. However, stop by your local Dollar Tree, and figure out what items that are on your tablescape shopping list that they have. Now that you've done all the above, it's time to create a shopping list and see what you need. Do you want to add wine glasses or purchase charms to add to your tablescape? You might even what to DIY a few items. Right down a list of everything that you'll need. I like to look at all the pretty decoration in the stores and if people decorate. We don't decorate for valentines day anymore since the kids are grown and gone. I use the Dollar Tree to purchase all of our decorations because I can donate them to a Senor Center afterwards and not spend a fortune replacing them the next year but chose different items so the kids don't get tired of what we use. Dollar Tree always has the best finds. I always get Valentine's Day balloons there because they are so affordable. What cute ideas! If I celebrated this "holiday" I would totally do something like this! How cute! I make Valentine's Day all about my kids and they would definitely enjoy a decorated seasonal table. It'll make for a fun place to eat all of their sweet treats. Nice! My husband and I are pretty lazy and probably won't do much for Valentine's Day. I think we're just ordering pizza for dinner and eating off paper plates. On the couch. I love the Dollar Tree for their seasonal decor. I love how you used the red sparkly faux-frond on the plate. Wow great tips. 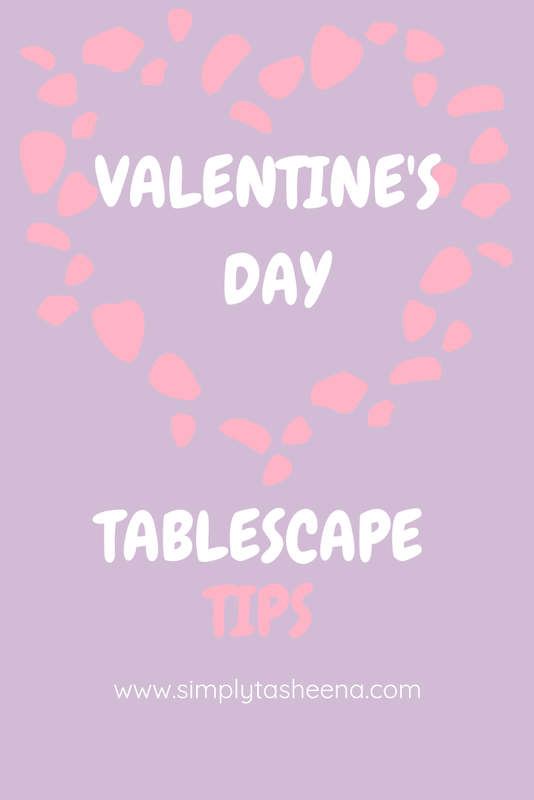 Your tips will make for a beautiful table on Valentine's Day for those celebrating with a party or dinner. My mother in law loves creating holiday tablescapes. She makes them for just about every occasion. I have never decorated for Valentine's Day but I really need to start. I have seen so many great ideas! It looks great! I love to reuse some items and then bring in a couple of new ones to change it up a bit without breaking the bank! Wow! This is so amazing tips! Whole worldwide are very excited and preparing for Valentine's Day. I am so amazed! I love all things pink and red and your tablescape is just gorgeous! I need to decorate my table! I love how you made this so special without spending too much. Dollar Tree is a good place to get things that you need on a budget. I think a little sparkle is such a great thing for a tablescape and I can see that you think so too. I also love that you stayed within a narrow budget but got a million dollar look! Very nice indeed. Ours will be a little low key, but still special. 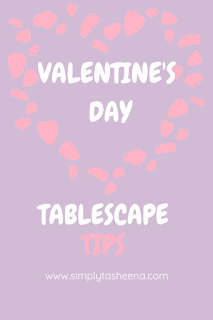 What wonderful ideas for creating beautiful tablescapes and purchasing home decorations for Valentine's Day! Will be sharing this video with Sweetie. Proof that Babushka isn't the only one hitting those after holiday sales!! Oh my this is so cute. I love to go all out and you sure did here. Thanks for the inspiration.